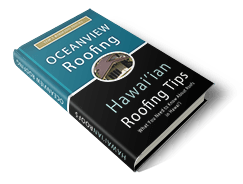 Why Hundreds of Hawai’i Homeowners Have Trusted Oceanview Roofing…Choosing a quality contractor for your roof is one of the most important considerations you’ll ever make in the investment of your home. "Pete, Thank you and your workers for the wonderful job they did on our roof! We bought our house knowing we would have to re-roof in the near future. Our old roof was 30+ years old and crumbling apart with the rain and the winds. Our old roof “problem” was a big factor in deciding whether or not we would finalize the purchase of our home. Whether buying, selling, or for everyday living, your roof is your home’s best investment. We are so happy with our new roof, which will probably outlast our home!" Two types of asphalt shingles are made: organic and fiberglass or glass fiber. 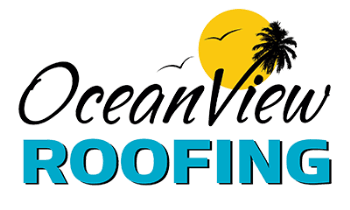 Organic shingles are generally paper (waste paper) saturated with asphalt to make it waterproof, then a top coating of adhesive asphalt is applied and ceramic granules are then embedded..
A shake is a basic wooden shingle that is made from split logs. Shakes have traditionally been used for roofing and siding applications around the world. Higher grade shakes are typically used for roofing.